Plumbing Issues: DIY or Call the Pros? The world of plumbing is a curious one in the way it blends professional expertise and basic, standard home or business owner skills. There are certain parts of your home or building’s plumbing that you’ll have to often deal with yourself, such as a clogged toilet, but then there are others that require professional expertise and may risk your safety and your plumbing system’s effectiveness if you attempt to work on them. At Action Plumbing, Heating, Air & Electric, we can help in both these areas as part of our plumbing services. Not only can we help you with the tasks that are clearly outside your knowledge level, we can also help you assess basic issues where you aren’t sure what the appropriate response should be. As a basic guide, here are a few plumbing issues you might be able to resolve on your own if you’re handy enough – plus a few others you should never attempt, and should always leave to us. Dripping faucet: In most cases, a faucet that drips here and there means that the washer in the faucet needs to be replaced. All you have to do is turn off the water to the faucet, unscrew the handle, and look at both the washer and O-ring to see if either is worn down. If so, replace it and put the faucet back together. If your drip continues, you may have broken plumbing that requires our attention. Clogged drain: Rather than chemical drain cleaners, we recommend using baking soda, salt and hot water to unclog a drain. If this doesn’t work, you may need our pros for stronger drain clearing services. Running toilet: If water keeps flowing into the bowl even after flushing is done, it’s likely an issue with the lever on your toilet. Remove the tank lid and find the chain, which has probably detached from the lever and sunk. Simply reattach it and you should be good to go. Shower head leaking: Most shower head flow issues are due to limescale buildup, which can be removed using a descaling solution. Sump pump failure: The sump pump can fail during large rain or snow storms, and this can lead to floods in the basement and major water damage. Sump pumps are one part of our standard plumbing inspections. Water heater issues: Water heaters may leak, make strange sounds, or emit foul odors that are both health and safety hazards. They should always be handled by the pros. Clogged sewer line: If your sewer line clogs, it could impact your entire home’s plumbing. Pipes bursting: Major temperature changes may burst pipes, causing thousands of gallons of water to leak. Immediately turn off your main water valve if you discover a burst pipe, but call our pros after this and do not attempt anything else. 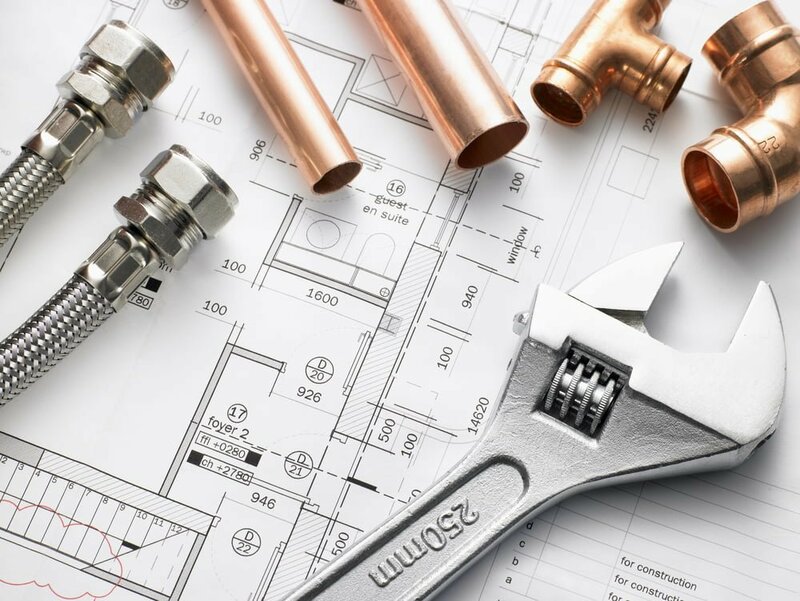 For more on DIY versus issues you should leave to the pros, or to learn about any of our plumbing services, speak to the pros at Action Plumbing, Heating, Air & Electric today.